The Dutch resistance to the Nazi occupation of the Netherlands during World War II can be mainly characterized by its prominent non-violence, peaking at over 300,000 people in hiding in the autumn of 1944, tended to by some 60,000 to 200,000 illegal landlords and caretakers and tolerated knowingly by some one million people, including German occupiers and military. Dutch resistance developed relatively slowly, but the event of the February strike and its cause, the random police harassment and deportation of over 400 Jews, greatly stimulated resistance. The first to organize themselves were the Dutch communists, who set up a cell-system immediately. Some other very amateurish groups also emerged, notably De Geuzen, set-up by Bernardus IJzerdraat and also some military-styled groups started, such as the Order Service. Most had great trouble surviving betrayal in the first two years of the war. Dutch counterintelligence, domestic sabotage, and communications networks eventually provided key support to Allied forces, beginning in 1944 and continuing until the Netherlands was fully liberated. Some 75% (105,000 out of 140,000) of the Jewish population perished in the Holocaust, most of them murdered in Nazi death camps. A number of resistance groups specialized in saving Jewish children, including the Utrechtse Kindercomité, the Landelijke Organisatie voor Hulp aan Onderduikers, the Naamloze Vennootschap (NV), and the Amsterdam Student Group. The Columbia Guide to the Holocaust estimates that 215-500 Dutch Romanis were killed by the Nazis, with the higher figure estimated as almost the entire pre-war population of Dutch Romanis. The Dutch themselves, especially their official war historian Dr. Loe de Jong, director of the State Institute for War Documentation (RIOD, also known as NIOD) distinguished between several types of resistance. Going into hiding, at which the Dutch appeared to excel, was generally not categorised by the Dutch as resistance because of the passive nature of such an act; helping these so-called onderduikers was, but more or less reluctantly so. Non-compliance with German rules, wishes or commands or German condoned Dutch rule, was also not considered resistance. According to official publications, sabotage on an extensive scale must have appeared at those companies in the Netherlands that kept on working during the war (collaboration was rife in the country), but until recently this was not seen as resistance. Public protests of individuals, political parties, newspapers or the churches were also not considered to be resistance. Publishing illegal papers – something the Dutch were very good at, with some 1,100 separate titles appearing, some reaching circulations of more than 100,000 for a population of 8.5 million – was not considered resistance per se. Only active resistance in the form of spying, sabotage or with arms was what the Dutch considered resistance. Nevertheless, thousands of members of all the 'non-resisting' categories were arrested by the Germans and often subsequently jailed for months, tortured, sent to concentration camps or killed. Up until the 21st century, the tendency existed in Dutch historical research and publications, not to regard passive resistance as 'real' resistance. Slowly, this has started to change, also because of the emphasis the RIOD has been putting on individual heroism since 2005. The unique Dutch February strike of 1941, protesting deportation of Jews from the Netherlands, the only such strike to ever occur in Nazi-occupied Europe, is usually not defined as resistance by the Dutch. The strikers, who numbered in the tens of thousands, are not considered resistance participants. The Dutch generally prefer to use the term illegaliteit ('illegality') for all those activities that were illegal, contrary, underground or unarmed. After the war, the Dutch created and awarded a Resistance Cross ('Verzetkruis', not to be confused with the much lower ranking Verzetsherdenkingskruis) to only 95 people, of whom only one was still alive when receiving the decoration, a number in stark contrast to the hundreds of thousands of Dutch men and women who performed illegal tasks at any moment during the war. Prior to the German invasion, the Netherlands had adhered to a policy of strict neutrality. The country had narrow bonds with Germany, and less so with the British. The Dutch had not engaged in war with any European nation since 1830. During World War I, the Dutch were not invaded by Germany and anti-German sentiment was not as strong after that war as it was in other European countries. The German ex-Kaiser had fled to the Netherlands in 1918 and lived there in exile. The German invasion therefore came as a great shock to many Dutch people. Nevertheless, the country had ordered general mobilisation in September 1939. By November 1938, during the Kristallnacht, many Dutch people received a foretaste of things to come; German synagogues could be seen burning, even from the Netherlands, (such as the one in Aachen). An anti-fascist movement started to gain popularity – as did the fascist movement, notably the Nationaal-Socialistische Beweging (NSB). Despite strict neutrality, even going so far as shooting down British as well as German planes, the country's large merchant fleet was severely attacked by the Germans after 1 September 1939, the beginning of World War II. The sinking of the passenger liner SS Simon Bolivar in November 1939, with 84 dead, especially shocked the nation. It was not the only vessel. On 10 May 1940, German troops started their surprise attack on the Netherlands without a declaration of war. The day before, small groups of German troops wearing Dutch uniforms had entered the country. Many of them wore 'Dutch' helmets, some made of cardboard as there were not enough originals. The Germans employed about 750,000 men, three times the strength of the Dutch army; some 1,100 planes (Dutch army: 125) and six armoured trains; they managed to destroy 80% of the Dutch military aircraft on the ground in one morning, mostly by bombing. Although the Dutch army was inferior in nearly every way, consisting mostly of conscripts, poorly led, poorly outfitted and with poor communications, the Germans lost over 500 planes in the three days of the attack, a loss they would never replenish. Also the first large-scale paratroop attack in history failed, the Dutch managing to recapture the three German-occupied airfields near the Hague within the day. Remarkable was the existence of privately owned anti-aircraft guns. No less surprising may be the fact that the Dutch army owned only one tank. the Grebbe line, a north–south line some 50 kilometres (31 miles) east of the capital Amsterdam, from Amersfoort to the Waal, fortified, with field guns, with extensive inundations; the Dutch had to surrender after heavy losses. Kornwerderzand, with a bunker-complex that defended the eastern end of the Afsluitdijk connecting Friesland to North Holland and was held until the capitulation. Rotterdam, the bridges over the Waal, defended by Dutch Marines until the surrender. After four days, it seemed as if the Dutch had stopped the German advance, although at that time, they had already invaded some 70% of the country, excluding the urban areas to the west. Adolf Hitler, who had expected the occupation to be completed in two days (in Denmark in April 1940 it had taken only one day), ordered Rotterdam to be annihilated, leading to the Rotterdam Blitz on 14 May that destroyed much of the city centre and killed about 800 people; it also left some 85,000 homeless. The air attack was to be followed by every other major city if the Dutch people refused to surrender. The Dutch, having lost the bulk of their air force, realized they could not stop the German bombers and surrendered. The 2,000 Dutch soldiers who died defending their country, together with at least 800 civilians who perished in the flames of Rotterdam, were the first victims of a Nazi occupation which was to last five years. The Nazis, who considered the Dutch to be fellow Aryans, were less repressive in the Netherlands than in other occupied countries, at least at first. Their main goals were the Nazification of the populace, the creation of a large-scale aerial attack and defence system, and the integration of the Dutch economy in the German economy. As Rotterdam was already Germany's main port, it remained so and collaboration with the enemy was widespread, stimulated by the flight of all the government ministers who had instructed their secretaries-general to carry on as if nothing happened. The open terrain and dense population, the densest in Europe, made it difficult to conceal illegal activities; unlike for example, the Maquis in France, who had ample hiding places. Furthermore, the country was surrounded by German-controlled territory on all sides, offering few escape routes. The entire coast was forbidden territory for all Dutch people. The very first German round-up of Jews in February 1941 led to the first general strike against the Germans in Europe (and indeed one of only two such throughout occupied Europe). If the Germans discovered people were involved in the resistance, they were often immediately jailed. It was the social democrats, Catholics, and communists who started the resistance movement. Membership of an armed or military organized group could lead to prolonged stays in concentration camps, and after mid-1944, to immediate death (as a result of Hitler's orders to shoot resistance members on sight – the Niedermachungsbefehl). The increasing attacks against Dutch fascists and Germans led to large-scale reprisals, often involving dozens, even hundreds of randomly chosen people who, if not executed, died after being deported. Most of the adult males in the village of Putten for example, which had 600 inhabitants, shared this fate. The Nazis deported the Jews to concentration and extermination camps, rationed food, and withheld food stamps as a punishment. They started large-scale fortifications along the coast and constructed some 30 airfields, paying with money they claimed from the national bank at a rate of 100 million guilders a month (the so-called 'costs of the occupation'). They also forced adult males between 18 and 45 to work in German factories or on public work projects. In 1944 most trains were diverted to Germany, known as 'the great train robberies', and in total some 550,000 Dutch people were selected to be sent to Germany as forced labourers. Males over the age of 14 were deemed 'able to work' and females over the age of 15. Over the next five years, as conditions became increasingly harsh and difficult, resistance became better organized and more forceful. The resistance managed to kill high-ranking Dutch officials, such as General Seyffardt. In the Netherlands, the Germans managed to exterminate a relatively large proportion of the Jews. The main reason they were found so easily was that before the war, the Dutch authorities had required citizens to register their religion so that church taxes could be distributed among the various religious organizations. Furthermore, shortly after the Nazis took over the government, they demanded all Dutch public servants fill out an "Aryan Attestation" in which they were asked to state in detail their religious and ethnic ancestry. The American author Mark Klempner writes, "Though there was some protest, not just from the government employees, but from several churches and universities, in the end, all but twenty of 240,000 Dutch civil servants dutifully signed and returned the form." In addition, the country was occupied by the oppressive SS rather than the Wehrmacht as in the other Western European countries, as well as the fact that the occupying forces were generally under the command of Austrians who were keen to show that they were 'good Germans' by implementing anti-Semitic policy. The Dutch public transport organization and the police collaborated to a large extent in the transportation of the Jews. On 25 February 1941, the Communist Party of the Netherlands called for a general strike, the 'February strike', in response to the first Nazi raid on Amsterdam's Jewish population. The old Jewish quarter in Amsterdam had been cordoned off into a ghetto and as retaliation for a number of violent incidents that followed, 425 Jewish men were taken hostage by the Germans and eventually deported to extermination camps, just two surviving. Many citizens of Amsterdam, regardless of their political affiliation, joined in a mass protest against the deportation of Jewish Dutch citizens. The next day, factories in Zaandam, Haarlem, IJmuiden, Weesp, Bussum, Hilversum and Utrecht joined in. The strike was largely put down within a day with German troops firing on unarmed crowds, killing nine people and wounding 24, as well as taking many prisoners. It was significant because opposition to the German occupation intensified as a result. The only other general strike in Nazi-occupied Europe was the general strike in occupied Luxembourg in 1942. The Dutch struck four more times against the Germans: the students' strike in November 1940, the doctors' strike in 1942, the April–May strike in 1943 and the railway strike in 1944. No other country showed such overt unarmed refusal to cooperate with the occupiers. The February strike was also unusual for the Dutch resistance, which was more covert. Resistance in the Netherlands initially took the form of small-scale, decentralized cells engaged in independent activities, mostly small-scale sabotage (such as cutting phone lines, distributing anti-German leaflets or tearing down posters). Some small groups had no links with others. They produced forged ration cards and counterfeit money, collected intelligence, published underground papers such as De Waarheid, Trouw, Vrij Nederland, and Het Parool; they also sabotaged phone lines and railways, produced maps, and distributed food and goods. One of the most popular activities was hiding and sheltering refugees and enemies of the Nazi regime, which included concealing Jewish families like that of Anne Frank, underground operatives, draft-age Dutchmen and, later in the war, Allied aircrew. Collectively these people were known as onderduikers ('people in hiding' or literally: 'under-divers'). Corrie ten Boom and her family were among those who successfully hid several Jews and resistance workers from the Nazis. The total amounted to over 300,000 people up to September 1944, tended-to by some 60,000 to 200,000 landlords and carers. After Hitler had approved Anton Mussert as "Leider van het Nederlandse Volk" (Leader of the Dutch People) in December 1942, he was allowed to form a national government institute, a Dutch shadow cabinet called "Gemachtigden van den Leider", which would advise Reichskommissar Arthur Seyss-Inquart from 1 February 1943. The institute would consist of a number of deputies in charge of defined functions or departments within the administration. On 4 February Retired General and Rijkscommissaris Hendrik Seyffardt, already head of the Dutch SS volunteer group Vrijwilligers Legioen Nederland, was announced through the press as “Deputy for Special Services”. As a result, the Communist resistance group CS-6 under Dr. Gerrit Kastein (for their address, 6 Corelli Street, in Amsterdam), concluded that the new institute would eventually lead to a National-Socialist government, which would then introduce general conscription to enable the call-up of Dutch nationals for the Eastern Front. However, in reality the Nazi's only saw Mussert and the NSB as a useful Dutch tool to enable general co-operation, and further Seyss-Inquart had assured Mussert after his December 1942 meeting with Hitler that general conscription was not on the agenda. However, CS-6 assessed that Seyffardt was the first person within the new institute eligible for an attack, after the heavily guarded Mussert. After approval from the Dutch government-in-exile, on the evening of Friday 5 February 1943, after answering a knock at his front door in Scheveningen, Den Haag, Seyffardt was shot twice by student Jan Verleun who had accompanied Dr. Kastein on the mission. A day later Seyffardt succumbed to his injuries in hospital. A private military ceremony was arranged at the Binnenhof, attended by family and friends and with Mussert in attendance, after which Seyffardt was cremated. On 7 February, CS-6 shot fellow institute member Gemachtigde voor de Volksvoorlichting (Attorney for the national relations) H. Reydon and his wife. His wife died on the spot, while Reydon died on 24 August of his injuries. The gun used in this attack had been given to Dr. Kastein by Sicherheitsdienst (SD) agent Van der Waals, and after tracking him back through information, arrested him on 19 February. Two days later Dr. Kastein committed suicide so as not to give away Dutch Resistance information under torture. Seyffardt and Reydon's deaths led to massive Nazi Germany reprisals in the occupied Netherlands, under Operation Silbertanne. SS General Hanns Albin Rauter immediately ordered the murder of 50 Dutch hostages and a series of raids on Dutch universities. By accident the Dutch resistance had attacked Rauter's car on 6 March 1945, which in turn led to the killings at De Woeste Hoeve, where 117 men were rounded up and executed at the site of the ambush and another 147 Gestapo prisoners were executed elsewhere. A similar war crime occurred on 1–2 October 1944, in the village of Putten, where over 600 men were deported to camps to be killed in retaliation for resistance activity in the Putten raid. A little more than 1,700 Dutch people managed to escape to England and offered themselves to their Queen Wilhelmina for service against the Germans. They were called the Engelandvaarders named after some 200 who had traveled by boat across the North Sea, most of the other 1,500 went across land. Some figures are especially noteworthy: Erik Hazelhoff Roelfzema, whose life was described in his book and made into a film and a musical Soldaat van Oranje, Peter Tazelaar and Bob or Bram van der Stok, who became a squadron leader in No. 322 Squadron RAF. Van der Stok was one of only three successful survivors of 'the Great Escape' from Stalag Luft III. 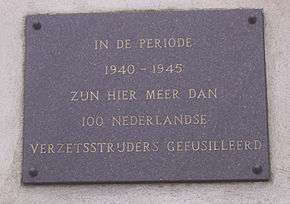 A major role in keeping the Dutch resistance alive was played by the BBC, Radio Oranje, the broadcasting service of the Dutch government-in-exile and Radio Herrijzend Nederland which broadcast from the Southern part of the country during liberation. Listening to either programme was forbidden and after about a year the Germans decided to confiscate all Dutch radio receivers. About half of all sets were taken, the rest went underground. With some listeners managing to replace their sets with homemade receivers. Surprisingly the authorities failed to outlaw the publication of magazine articles explaining how to build sets or the sale of the necessary materials until many months later. When they eventually did there were leaflets dropped from British planes containing instructions on building sets and directional aerials to circumvent German jamming. The Dutch managed to set up a remarkably large underground press that led to some 1,100 titles. Some of these were never more than hand-copied newsletters, while others were printed in larger runs and grew to become newspapers and magazines some of which still exist today, such as Trouw, Het Parool, and Vrij Nederland. As early as 15 May 1940, the day after the Dutch capitulation, the Communist Party of the Netherlands (CPN) held a meeting to organise their underground existence and resistance against the German occupiers. It was the first resistance organisation in the country. As a result, some 2,000 communists were to lose their lives in torture rooms, concentration camps or by firing squad. On the same day Bernardus IJzerdraat distributed leaflets protesting against the German occupation and called on the public to resist the Germans. This was the first public act of resistance. IJzerdraat started to build an illegal resistance organisation called De Geuzen, named after a group who rebelled against Spanish occupation in the 16th century. A few months after the German invasion, a number of Revolutionary Socialist Worker's Party (RSAP) members including Henk Sneevliet formed the Marx–Lenin–Luxemburg Front. Its entire leadership was caught and executed in April 1942. The CPN and the RSAP were the only pre-war organisations that went underground and protested against the antisemitic action taken by the German occupiers. The most important resistance act, as said above, in the Netherlands was hiding and moving people. The first people who went into hiding were German Jews who had arrived in the Netherlands before 1940. They were not duped by the German attitude just after the Dutch capitulation. In the first weeks after the surrender, some British soldiers who could not get to Dunkirk (Duinkerken) in French Flanders hid with farmers in Dutch Flanders. In the winter of 1940/1941 many French escaped prisoners of war (POWs) passed through the Netherlands. One single family in Oldenzaal helped 200 men. In total about 4,000 mainly French, some Belgian, Polish, Russian and Czech ex-POWs were aided on their way south in the province of Limburg. and the OD ("Orde Dienst" or Order of Service), a group preparing for the return of the exiled Dutch government and its subgroup the GDN (Dutch Secret Service), the intelligence arm of the OD. Another, but more radical group was called 'CS 6'; it was probably named for the address where they were based, 6 Corelli street in Amsterdam. According to Dutch official state war historian Dr. L. de Jong, they were by far the most deadly of the resistance groups, committing some 20 assassinations. Having been started in 1940 by the brothers Gideon and Jan Karel ('Janka') Boissevain, the group grew quickly to some 40 members and made contact with the Dutch communist and surgeon Dr. Gerrit Kastein. They targeted the highest ranking Dutch collaborators and traitors, but duly became the victim of the most dangerous Dutch traitor and German spy, Anton van der Waals. Included in the list of their victims was the Dutch General Seyffardt, who was used by the Germans to head the Dutch SS-legion. They also managed to assassinate an assistant minister, Reydon, and several police chiefs. CS 6 are, according to De Jong, rightly recognised for their crucial role in the deportation of Jews and general terror and suppression. The planned assassination of the best known Dutch traitor and collaborator, Dutch Nazi-party leader Anton Mussert, was delayed and could never be accomplished. Their activities in eliminating Dutch collaborators prompted the 1943 'Silbertanne' covert murder reprisals by the Dutch SS. By 1944 treason and strain had decimated their ranks. In addition to these groups, the NSF ("Nationale Steun Fonds", or National Support Fund) financial organization received money from the exiled government to fund operations of the LO and KP. It also set up large-scale scams involving the national bank and the tax service that were never discovered. The principal figure of the NSF was the banker Walraven van Hall, whose activities were discovered by chance by the Nazis and who was shot at the age of 39. Because of Van Hall's work, the Dutch resistance was never short of money. Van Hall is considered to be the most important Dutch underground worker by national war historian Dr L. de Jong; he finally got his monument in Amsterdam in September 2010. The number of people cared for by the LO in July 1944 is estimated to be between 200,000 and 350,000. That is one out of 40 inhabitants of the Netherlands. 1,671 members of the LO-LKP organisations lost their lives. Of the 12,000 to 14,000 participants in the LO, 1,104 were killed or died in prison camps. 514 members of the LKP also died. The number of members of the LKP is rather precise – 2,277, since their members were registered after the war. 2,277 was their number in September 1944. ⅓ were members before this time. Only one of the top LKP members survived the war – Liepke Scheepstra (a.k.a. Bob). Mrs. Helema-Rietberg, one of the founders of the LO, was betrayed and died in Ravensbruck concentration camp. On 22 September 1944, members of the LKP, RVV and a small number of the OD in the southern liberated part of the Netherlands became a Dutch army unit: the Stoottroepen. This was during Operation Market Garden. Three battalions, without any military training, were formed in Brabant and three in Limburg. The first and second battalions from Brabant were involved in guarding the frontline along the Waal and Meuse rivers with the British 2nd Army. The third battalion from Brabant was incorporated into a Polish formation of the Canadian 2nd Army on the front line on the islands of Tholen and Sint Philipsland. The second and third battalions from Limburg were included in the 9th American Army and were involved in guarding the front line from Roosteren to Aix la Chapelle (Aachen/Aken). During the Battle of the Bulge (December 1944), they were repositioned on the line Aix la Chapelle to Liège (Luik). The first battalion from Limburg was an occupational force in Germany in the area between Cologne (Köln), Aix la Chappelle and the Dutch border. The second and third battalions from Limburg accompanied the American push in March 1945 up to Magdeburg, Brunswick and Oschersleben, which was deep into Germany. Women also served as typists and nurses. When the unit was brought into the regular Dutch army after the war, the women had to leave. Both the Dutch Catholic and reformed churches (the latter in all its several forms), were agreed on their total but cautious denial of Nazism and the occupation. Both cooperated with many illegal organizations and made funds available, for instance to save Jewish children. Many priests and ministers were arrested and deported; some died, such as father Titus Brandsma, a professor of philosophy and an early outspoken critic of Nazism, who eventually succumbed to illness in Dachau concentration camp, and Father Raskin, a priest in the CICM Missionaries, who operated under the codename Leopold Vindictive 200 and was beheaded by the Gestapo on 18 October 1943. Monseigneur De Jong, archbishop of Utrecht, was a steadfast leader of the Catholic community and a clear but wise opponent of the German occupiers. The Catholic stance on the protection of converted Jews, amongst others Edith Stein, a philosopher who was then also a nun in a Dutch convent, led to special prosecution of those Jews, sister Stein being deported. After the war, captured documents showed that the Germans feared the role of the churches, especially when Catholics and Protestants worked together. Following the Normandy invasion in June 1944, the Dutch civilian population was put under increasing pressure by Allied infiltration and the need for intelligence regarding the German military defensive buildup, the instability of German positions and active fighting. Portions of the country were liberated as part of the Allied Drive to the Siegfried Line. The unsuccessful Allied airborne Operation Market Garden liberated Eindhoven and Nijmegen, but the attempt to secure bridges and transport lines around Arnhem in mid-September failed, partly because British forces disregarded intelligence offered by the Dutch resistance toward German strength of forces; they were right in believing that the sources had been compromised. The Battle of the Scheldt, aimed at opening the Belgian port of Antwerp, liberated the south-west Netherlands the following month. While the south was liberated, Amsterdam and the rest of the north remained under Nazi control until their official surrender on 5 May 1945. For these eight months Allied forces held off, fearing huge civilian losses, and hoping for a rapid collapse of the German government. When the Dutch government-in-exile asked for a national railway strike as a resistance measure, the Nazis stopped food transports to the western Netherlands, and this set the stage for the "Hunger winter", the Dutch famine of 1944. Some 374 Dutch resistance fighters are buried in the Field of Honor in the Dunes around Bloemendaal. In total, some 2,000 Dutch resistance members were killed by the Germans. Their names are recorded in a memorial ledger Erelijst van Gevallenen 1940–1945, kept in the Dutch parliament and available online since 2010 . 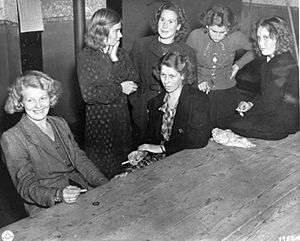 Dutch women who had sexual relations with German soldiers await their fate after being arrested by the Dutch resistance. Their heads were shaved and they were paraded through the streets of Grave. Henri Wetselaar, Young rebel, wrote the book Facing a German Firing Squad in 12 hours. Father Raskin who operated under the codename Leopold Vindictive 200 and was beheaded by the Gestapo on 18 October 1943. ↑ Stone, Dan (2010). Histories of the Holocaust. Oxford University Press. 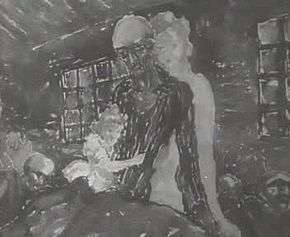 p. 42. ISBN 978-0-19-956680-8. Retrieved 2016-04-21. ↑ Klempner, Mark (2006). The Heart Has Reasons. U.S.: The Pilgrim Press. p. 235. ISBN 0-8298-1699-2. ↑ Niewyk, Donald L. The Columbia Guide to the Holocaust, Columbia University Press, 2000, ISBN 0-231-11200-9 page 422. ↑ "A Forgotten Chapter", Holland Under the Third Reich, lecture by Anthony Anderson at the University of Southern California on 17 October 1995. Retrieved 10 April 2008. ↑ Duncan, George. "Maritime Disasters of World War II". Retrieved 15 May 2011. ↑ The Netherlands and the beginning of World War II from Marketgarden.com. Retrieved 11 April 2008. ↑ "The Dutch Resistance and the OSS". cia.gov. Retrieved 21 January 2015. ↑ Resistance from Holocaust and Resistance in World War II Netherlands Archived 8 February 2009 at the Wayback Machine.. Retrieved 11 April 2008. ↑ Klempner, Mark. "Background chapter". The Heart Has Reasons. The Pilgrim Press. Retrieved 2016-04-21. ↑ Corrie ten Boom from the United States Holocaust Memorial Museum. Retrieved 11 April 2008. 1 2 3 4 5 6 7 8 "Hendrik Alexander Seyffardt". go2war2.nl. Retrieved 5 April 2013. ↑ The 'SILBERTANNE' murders from Niederlanders in de Waffen-SS. Retrieved 11 April 2008. ↑ The Hins' World War II Collection – Memorial Woeste Hoeve Archived 15 February 2005 at the Wayback Machine.. Retrieved 11 April 2008. ↑ Verzetsmuseum | Hand in? ↑ "Verzetsmuseum – Cooperate?". verzetsmuseum.org. Retrieved 21 January 2015. ↑ "Verzetsmuseum – The illegal press". verzetsmuseum.org. Retrieved 21 January 2015. ↑ Resistance in Western Europe, p. 145, ed. Bob Moore, Oxford : Berg, 2000, ISBN 1-85973-279-8. ↑ Bernardus IJzerdraat from Erepeloton Waalsdorp (in Dutch). Retrieved 11 April 2008. ↑ "Archived copy". Archived from the original on 10 November 2011. Retrieved 1 September 2013. ↑ "Verzetsmuseum – LO en LKP". verzetsmuseum.org. Retrieved 21 April 2016. ↑ Biografie van Hall, Walraven van from Website Instituut voor Nederlandse Geschiedenis. Retrieved 11 April 2008. ↑ Warmbrunn, Werner (1963). The Dutch under German occupation, 1940–1945. Stanford University Press. p. 229. ISBN 9780804701525. Retrieved 2016-04-21. ↑ "Biography of the Dutch Submarine Commander G. Mante". dutchsubmarines.com. Retrieved 21 January 2015. Wikimedia Commons has media related to Dutch resistance during World War II. Dutch Resistance Museum – history and practical information. Jan de Hartog's speech given at Weber State College – his personal account of his participation in non-violent Dutch Resistance as an author. Vergeten verzet in Nederlands-Indië – an account (in Dutch) of the 'forgotten' resistance to the Japanese occupation of the East Indies.